Kansas City, Mo. 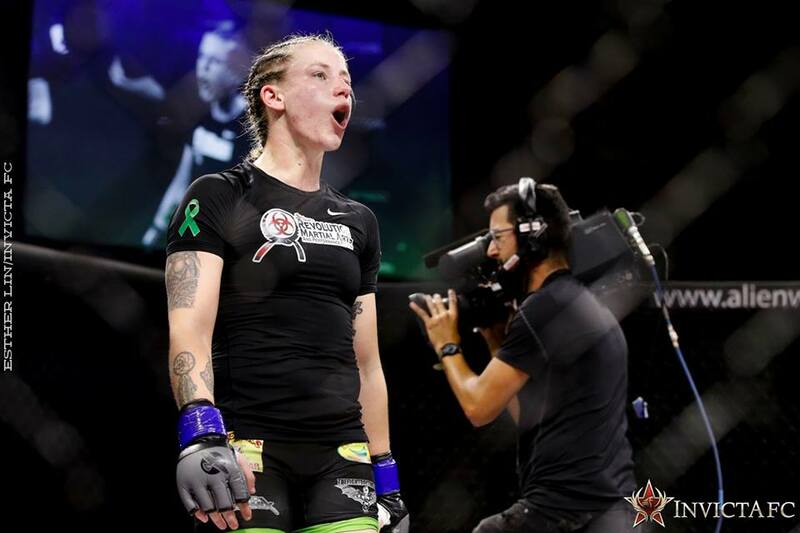 — The fight card for Invicta Fighting Championships 25 is complete. The event, which takes place from the Tachi Palace Hotel and Casino on Thursday, Aug. 31, marks the promotion’s return to California. All of the action streams live and exclusively on UFC Fight Pass at 6 p.m. PT. Joining the previously announced championship doubleheader in the bantamweight and strawweight divisions will be seven additional match-ups. 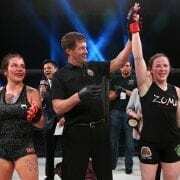 South Carolina’s Alexa Conners (4-1) returns to the Invicta FC cage to welcome undefeated German bantamweight Katharina Lehner (5-0) to the promotion. 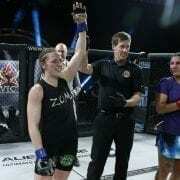 Conners has reeled off four straight wins leading into the bout, including a decision win at Invicta FC 20. Lehner will make her promotional debut after beginning her career with five straight wins in her home country of Germany and capturing the Respect FC championship. In the strawweight division, wrestling stalwart Sharon Jacobson (4-1) returns from a two-year absence to take on undefeated Kali Robbins (4-0). Jacobson, a two-time national champion wrestler and member of the Army Reserves, is coming off back-to-back “Fight of the Night” performances over Jamie Moyle and Delaney Owen. Robbins, dubbed “Pop Tart,” has yet to taste defeat in her professional or amateur career and has finished all four of her professional victories. Atomweight Shino VanHoose (5-5) will make her second Invicta appearance when she faces off with newcomer Alyse Anderson (3-0). VanHoose most recently earned a second-round TKO win over Sarah Lagerstrom, while Michigan’s Anderson is undefeated thus far in her mixed martial arts career. The bantamweight division will hold two additional bouts on the card, each featuring a pair of returning veterans. Kelly McGill-Velasco (2-1) squares off with Amberlynn Orr (0-1) in one match-up and California’s Yaya Rincón (1-0) takes on Swiss judoka Stephanie Egger (2-1) in the other pairing. Flyweight newcomers clash when Colorado’s Cheri Muraski (3-0) meets Tracy Cortez (0-0) of Arizona. Cortez will be making her professional debut after going 6-0 as an amateur. Finally, accomplished atomweight amateurs Ashley Medina (0-0) and Jillian DeCoursey (0-0) will each compete as professionals for the first time in the night’s opening bout. Tickets for the event can be purchased now through the Tachi Palace website.